The Fiat 500 Riva’s style was inspired by Riva yachts, including a unique paint known as Sera blue, with a double aquamarine line running around the middle of the car, and brand new 16-inch alloy wheels. To further enhance the link between the yacht and the Fiat, Chrome plating has been used, with the mirror caps, door handles and bonnet trim all getting this mirror-finish. The interior also has accents that fit the Riva theme, with Sera blue featuring again on the sides of the ivory leather seats and also on the edges of the seatbelts. 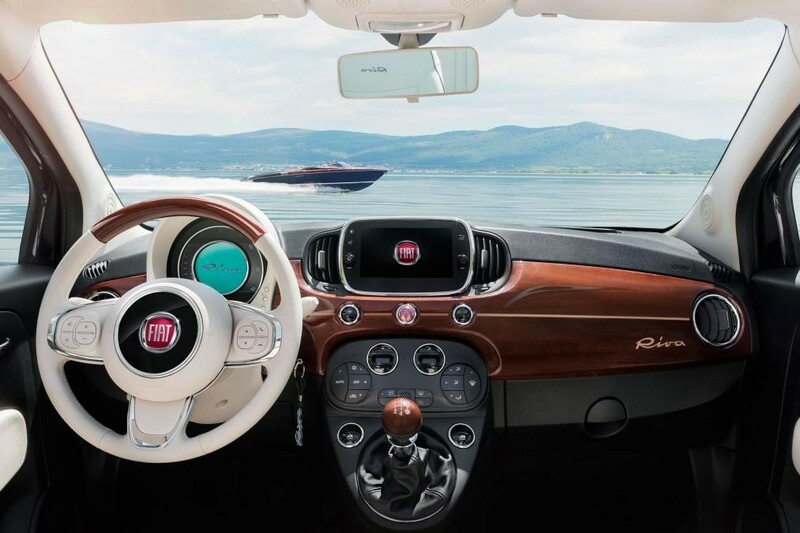 Strikingly, premium quality wood such as that which Riva uses has been introduced into this special Fiat, and has been used to carve a new dashboard and gear knob out of solid Mahogany. The Fiat 500 Riva will be available with the familiar Fiat engines, from the 900c TwinAir petrol producing either 84bhp or 104bhp, all the way up to the 95bhp 1.3-litre diesel. All cars get a manual gearbox as standard, while an automatic option is offered on some models. 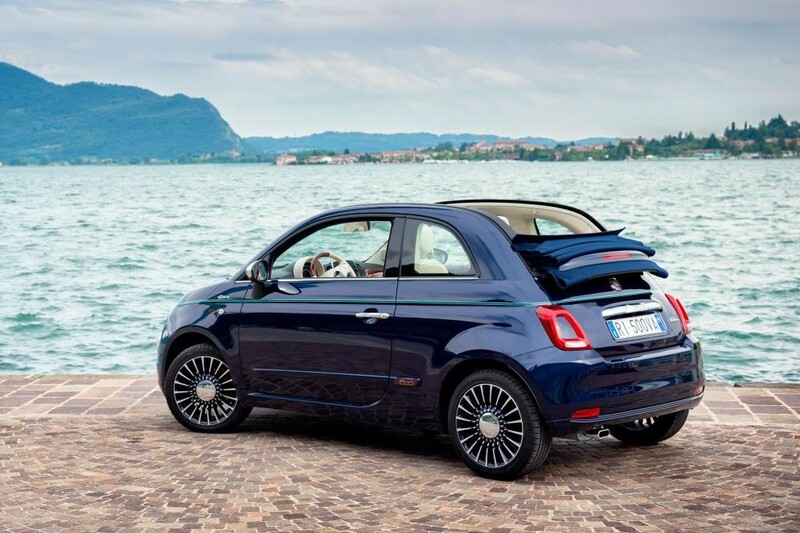 Fiat 500 and 500C convertible versions are available, with the convertible’s roof being a blue only available on this edition. The Riva comes equipped with a Uconnect seven-inch HD live touchscreen display and standard equipment. The system includes Bluetooth connectivity, voice recognition, a 3.5-mm auxiliary input, and music streaming. A digital radio, 3D TomTom navigation, and the BeatsAudio system that was developed in conjunction with Beats by Dr. Dre can be specified as add-ons. It boasts a total system output of 440 watts, all of which is sent to two dome tweeters, two midwoofers in the front doors, two full-range units in the rear side panels, and a larger subwoofer in the spare wheel compartment in the rear.